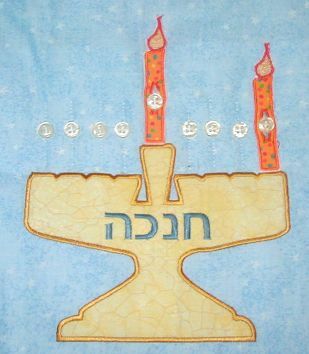 When my daughter was young, a candle fell out of her menorah and began to burn the placemat she had made in nursery school. Fortunately, she saw it and called me from the kitchen and all was well. 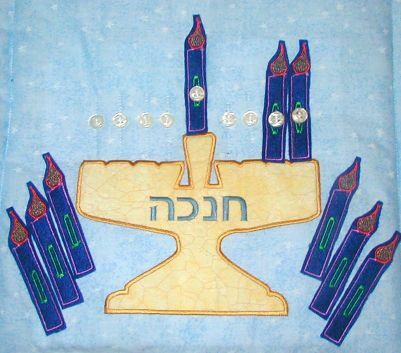 But since then I have thought about young children who want a Chanukiah or Menorah of their own, but we just don't want to run any risks with fire. Requires a 5x7 hoop or larger!!! !